Looking for an all-around basketball shoe? Start saving some bucks because the Jordan Flight 23 is about to soar again, and it will make waves with arguably its best edition. 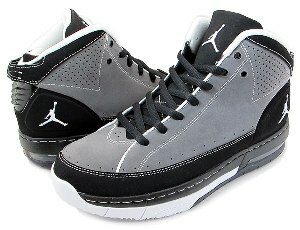 The Jordan Flight 23 will come out in Light Graphite/White-Black colourway and it will feature a grey nubuck upper part with black trim and toe rand, and enhanced with a visible air unit in the heel. The stunning low-cut shoe resembles the element of almost all the famous Jordan sneakers especially when it comes to quality and dependability. With its first release this year, the Jordan Flight 23 will absolutely get a lot of attention this month so watch out for its release!